East Coast Eagles vs. North Shore Bombers at Kanebridge Oval, Saturday, August 18, 2018. As the last round started, North Shore were safe in first and UNSW Eastern Suburbs were safe in second. East Coast were third, a game clear of Sydney University and Manly, but with a worse percentage. Sydney University and Manly had games they were expected to win comfortably, and did just that, but East Coast had a tough last round against North Shore. Pennant Hills were level on games with Sydney University and Manly, with a percentage marginally less than East Coast, and they had a tough draw against UNSW Eastern Suburbs. As it turned out, the games for East Coast and Pennant Hills would go down to the wire. The Eagles had a tough last round, drawn to play Minor Premiers, North Shore. The Bombers have played some home games at Kanebridge Oval in 2018, but this timer around it was an Eagles home game. The Eagles had an important advantage go their way as they got to kick with the wind in the first quarter and establish a lead. But it wasn’t an easy day for scoring, and a lead was hard to get. The wind was inconsistent, and not going directly down the ground – numerous kicks from both sides would fail to reach their targets or over-reach them. 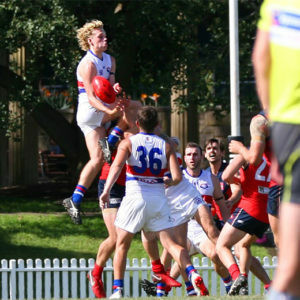 But conditions were favouring the Eagles in the opening term, and they struck some important blows in the context of their season as they landed three goals to one and held a 13-point quarter time lead. When the Bombers had the wind in the second term, the Eagles knew they would have to keep it tight and man-up at all costs, never letting the Bomber forwards lead or get in front. The Eagles defenders were equal to the task, keeping the game in their grasp through a tough and physical second term. The ladder leaders were held to two goals for the quarter, while the Eagles landed an important goal into the wind to hold a five-point lead at the long break. The game was still in the balance. 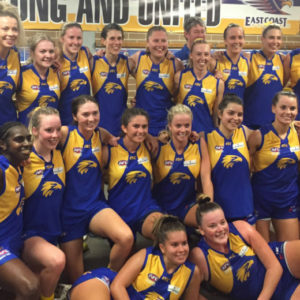 For the Eagles, there was much to play for, and the intensity of the game stepped up a notch in the third term. It had become a fascinating tactical battle, low scoring but absorbing for the faithful of both clubs. 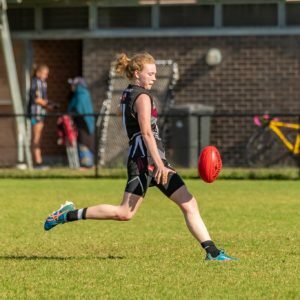 The Eagles looked to extend their lead, and landed three goals for the quarter, but the Bombers kept coming and managed two major scores into the wind. The three quarter time siren sounded, and the Eagles were leading by 12 points, but would it be enough of a buffer when the top team were coming home with the wind? The Eagles managed one goal into the wind, but for much of the quarter were hanging on for dear life. 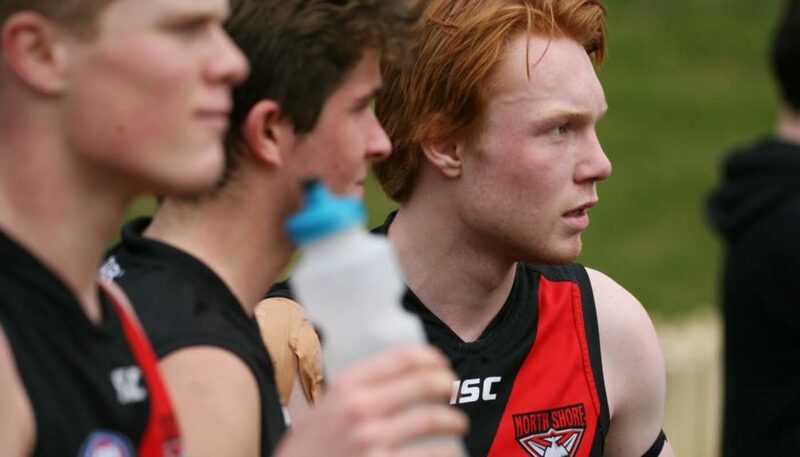 The Bombers, a well-drilled side full of talent, kept coming. Time and again the ball was pumped into the forward-50, and the Eagle defence held firm for so long. But in the end, the Bombers’ relentless attack took its toll. It took until the dying moments, but the Bombers’ third goal of the quarter gave them the lead. As the final siren sounded, the Minor Premiers fell over the line to win by one-point. Charlie Parsons, Ned Campbell and Shaun Crane were best for the Bombers. 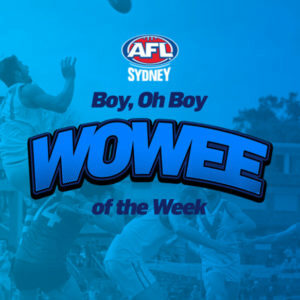 Whatever happened in this game, they would have finished top, but the Bombers didn’t want to break their winning momentum, and although tested by the desperation of the Eagles, found a way to win despite much of the game not going their way. They have the first week of the finals off, but will be going into the finals on the back of a six-game winning streak. The Eagles received solid service from Aaron Drinkwater, Brandon Clark and Lewis Waters. After leading all day, it was heartbreaking for them to be pipped at the post. With the loss, the double-chance was gone. Their place in the finals would depend on the game that was still going at Mike Kenny Oval, and it would be a nervous wait for news from that match.